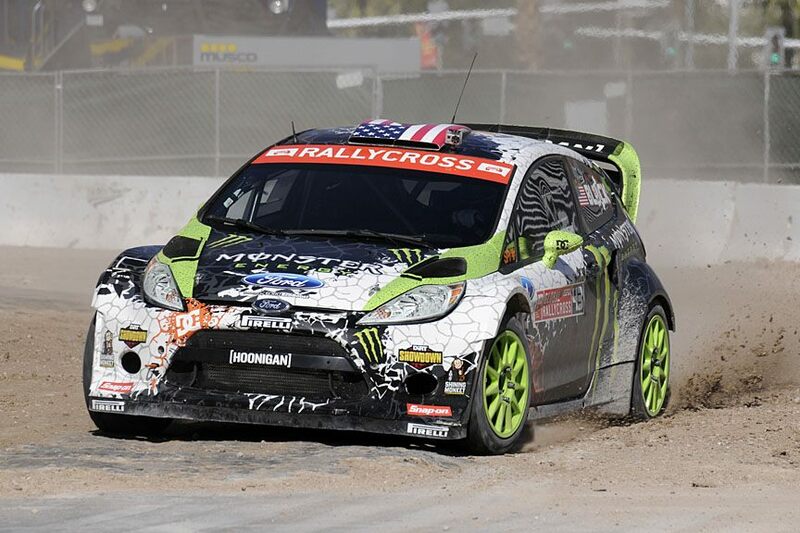 November may be the first week of the Global Rallycross Championship offseason, but that doesn’t mean that its drivers are all taking time off. In fact, this past month has seen many of the series’ stars taking on a diverse slate of responsibilities that have seen them travel across the world. Two GRC competitors took part in this year’s Baja 1000: defending race champion Bryce Menzies in a SCORE Trophy Truck, and Liam Doran in a Baja Challenge vehicle. Menzies finished eighth overall, while Doran’s team, led by Rodrigo Ampudia Jr., finished fifth in class. After leaving Baja, Doran participated in the Monster Energy Rallycross Experience at Lydden Hill, giving rides in his ERC Citroen DS3. 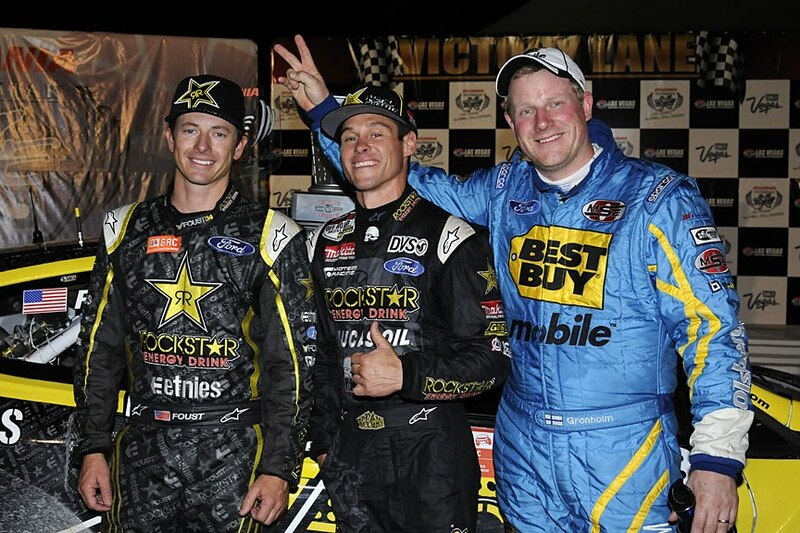 Series champion Tanner Foust has had a busy month, mostly filming new episodes of Top Gear America with co-hosts Rutledge Wood and Adam Ferrara. 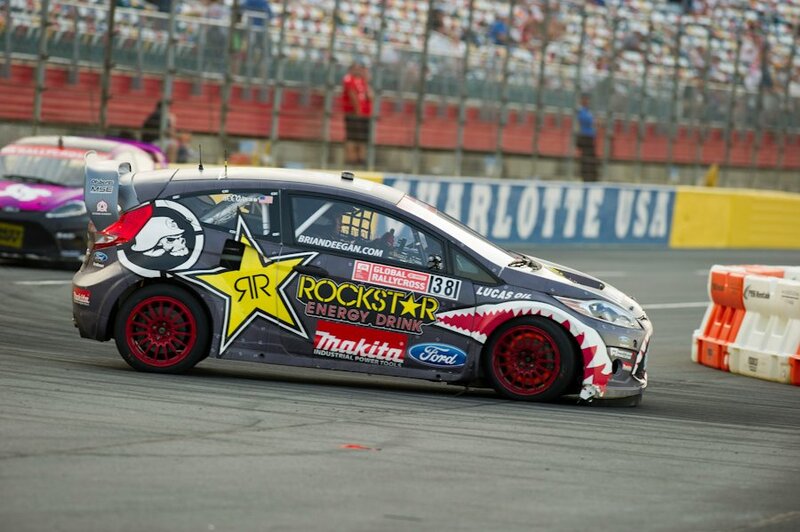 He also took time to shake down his signature edition 2013 Ford Focus ST at former GRC venue Irwindale Speedway, as well as making a sponsor-related visit to Homestead-Miami Speedway for NASCAR’s Ford Championship Weekend. 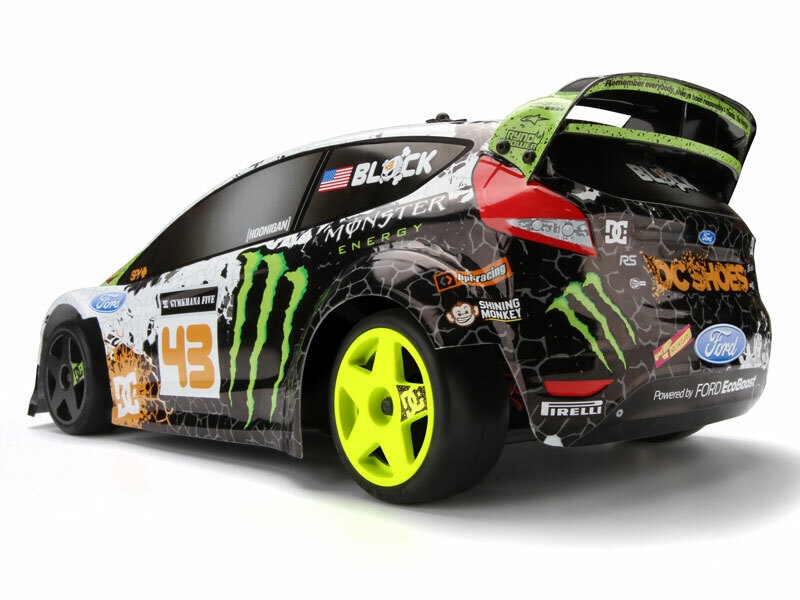 Foust hasn’t been the only GRC driver doing work on behalf of Ford, however, as Ken Block helped Ford reveal a brand new 2014 Fiesta ST at the Los Angeles Auto Show by drifting through Universal Studios. It’s not the first time Block has taken his car through Universal, though; it’s where Gymkhana Four was shot. 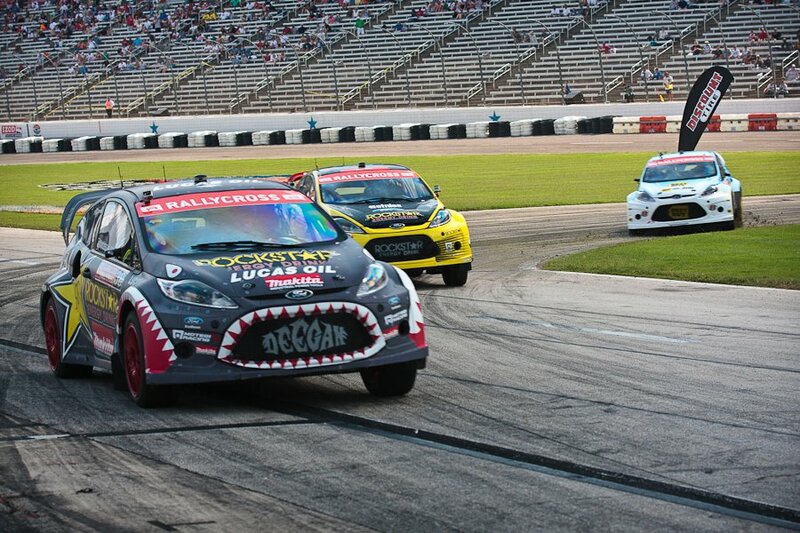 Ford also revealed that Octane Academy, its competition featuring Block, Foust, Brian Deegan, and Formula Drift competitor Vaughn Gittin Jr., would be broadcast on NBC Sports next year. Deegan has been embracing his role as a supportive father, helping son Haiden’s (“Danger Boy”) racing career and riding alongside him when he can. Deegan also announced an appearance at a Monster Jam event at the Metrodome in Minneapolis, MN, driving the Metal Mulisha monster truck. Two-time Formula Drift champion Samuel Hubinette announced that he will return to his iconic Dodge Challenger on December 8 for Red Bull Drift Shifters on Victoria Street in Auckland, New Zealand. Hubinette will join defending Formula Drift champion Diego Saito and up-and-coming driver Matt Powers to take on a field of New Zealand’s finest. Speaking of New Zealand, Rhys Millen returned home to compete in the Silver Fern Rally in a Group B-spec 1984 Mazda RX7. The car, which had been built by Mazda’s factory rally team for the World Rally Championship, had actually been driven by Rhys’ father Rod in the 1985 British round of the WRC. Unfortunately, transmission failure eliminated Millen from the rally at Stage 23. Finally, Travis Pastrana’s shoulder surgery didn’t prevent him from taking part in this year’s Big Buck Hunter World Championships in New York City. Pastrana and Team Whiskey Throttle were among dozens of players to compete for $50,000 in prize money, but having to shoot left-handed certainly didn’t help this year’s New Hampshire race winner; Pastrana came home 58th in the field of 64. 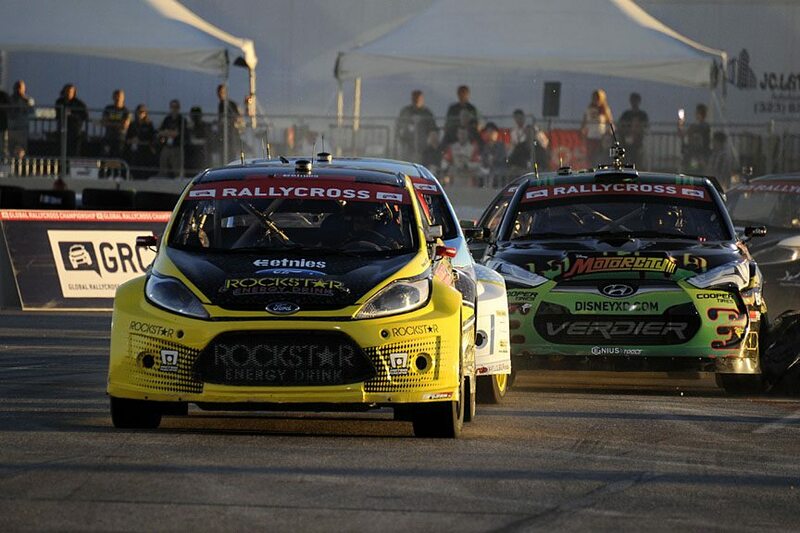 Filed Under: Global Rallycross Tagged With: Brian Deegan, Bryce Menzies, Diego Saita, Ford, Global Rallycross Championship, Irwindale Speedway, Ken Block, Liam Doran, Matt Powers, Mazda, Monster Energy, Octane Academy, Red Bull, Rhys Millen, Samuel Hubinette, Silver Fern Rally, Tanner Foust, Top Gear America, Travis Pastrana, Vaughn Gittin Jr. 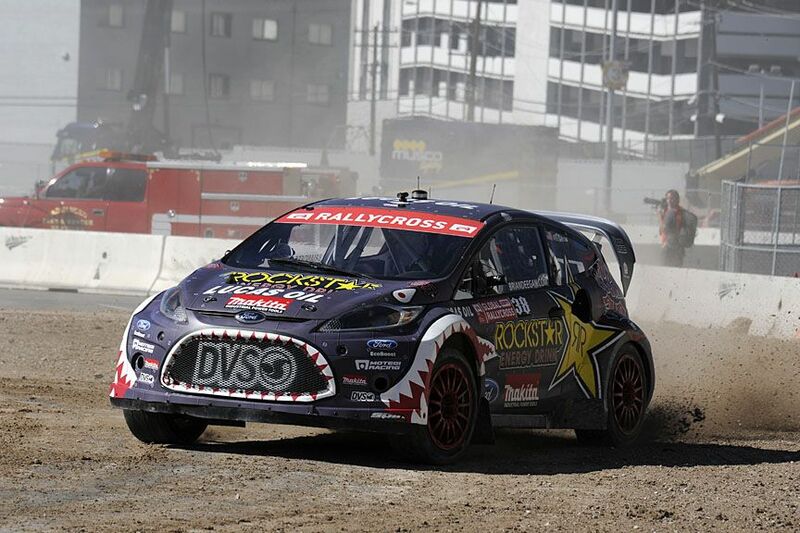 According to a Sports Business Daily article, Sequential Brands CEO Colin Dyne is among the leaders of the investment group that has joined the Global Rallycross Championship for the 2013 season and beyond. Dyne, 49, joined Sequential Brands in 2007 and has overseen its William Rast and People’s Liberation brands, both of which have a history in IndyCar racing. William Rast was Dan Wheldon’s primary sponsor at Bryan Herta Autosport when he won the 2011 Indianapolis 500. Dyne also oversaw the company’s acquisition of DVS Shoes this June. 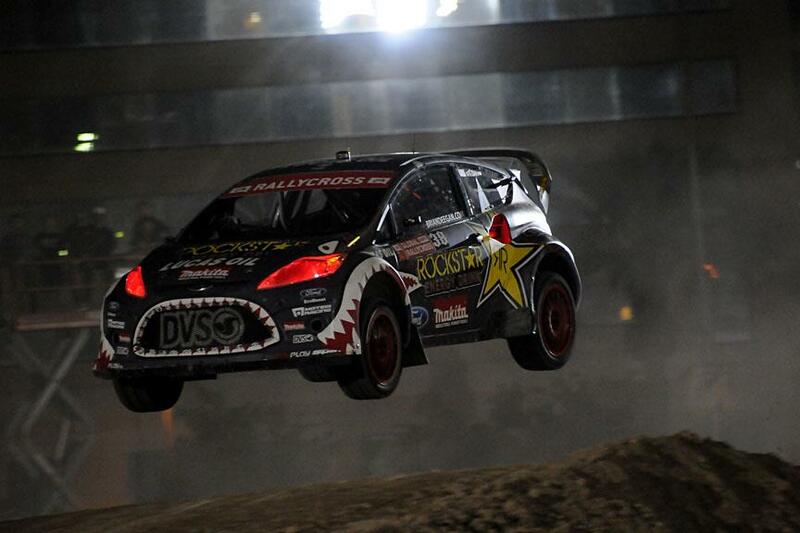 “Colin Dyne is a good friend of mine,” said Brian Deegan, this year’s runner-up and a DVS athlete since February. “He comes from a racing background in IndyCar, he knows about NASCAR—he’s going to turn this thing into a serious series. It’s going to be really good. And I think the changes next year, it’s going to turn into more of an exciting show and a race. 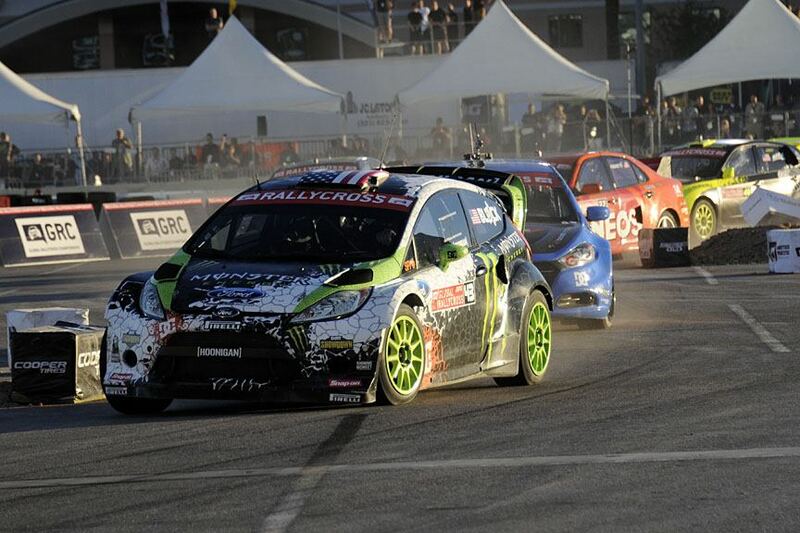 Next year’s Global Rallycross schedule will include nine rounds, the four Global X Games events and five United States-based races. We’ll offer insight into a projected schedule in the coming days. 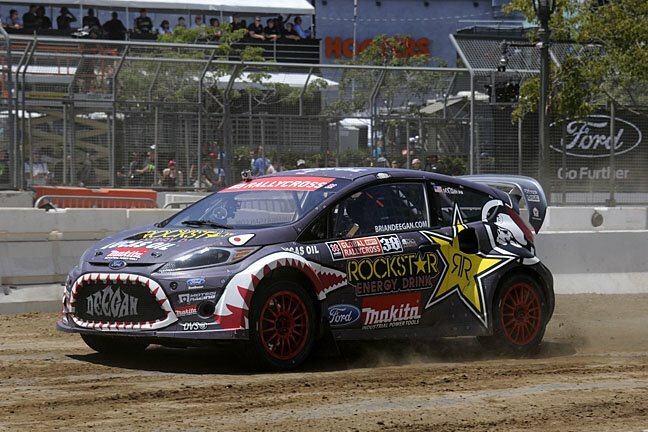 The starts of the two heat races on Tuesday were particularly difficult, with incredible glare from the sunset and loose, dry dirt that left a dusty haze around the .6-mile rallycross course. Conditions improved as the night went on, when the sun was no longer in drivers’ eyes and the dirt settled in, but that didn’t stop the first corner from hosting significant beating and banging each time out. 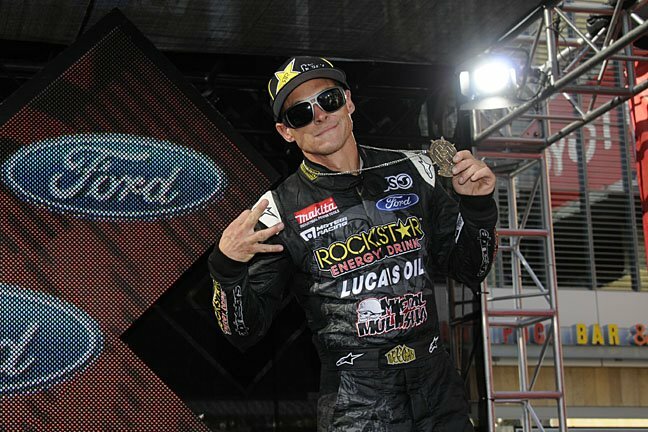 That bumping at the start of the first heat cost Brian Deegan dearly as he attempted to catch Tanner Foust for the championship. In the squeeze on the first turn, Sverre Isachsen got into Deegan’s right rear, puncturing the tire and removing Deegan from heat win competition. Between heats and after the race, a frustrated Deegan expressed his displeasure with Isachsen, alluding to repeated incidents and the potential of payback down the line. 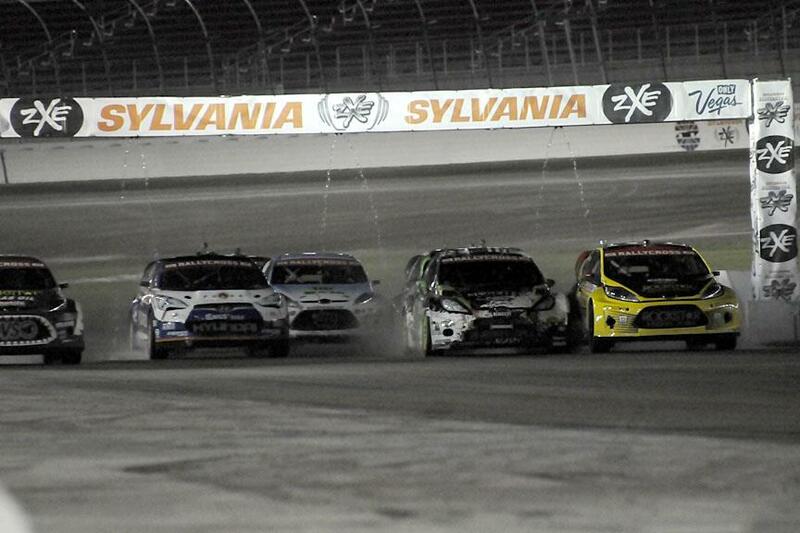 All week, it was abundantly clear that Ken Block had the fastest car in the field, bar none. Block posted the fastest time in seeding, won his Monday heat, and came out swinging on Tuesday as well, winning his second heat by a solid margin over Samuel Hubinette. By doing so, he also earned the ever-important pole position for the main event, offering him a huge advantage going into the first corner. In his second start of the year, this time substituting for Travis Pastrana, Bryce Menzies was every bit as aggressive as one would expect out of an off-road champion. He did an incredible job pressuring Hubinette in Tuesday’s heat race to finish third and transfer into the final, although he ran into problems there after contact with Bucky Lasek. 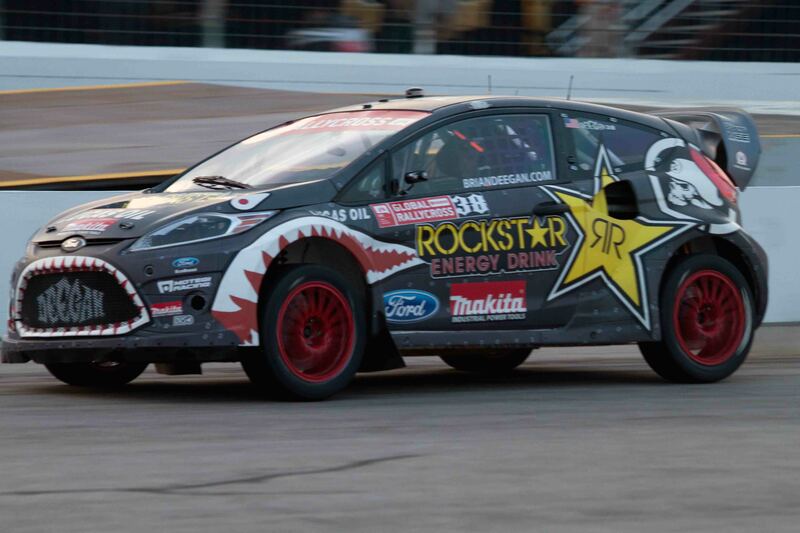 Pastrana sounded like he wants to give Menzies a full-time GRC ride for 2013, especially as he focuses on NASCAR. 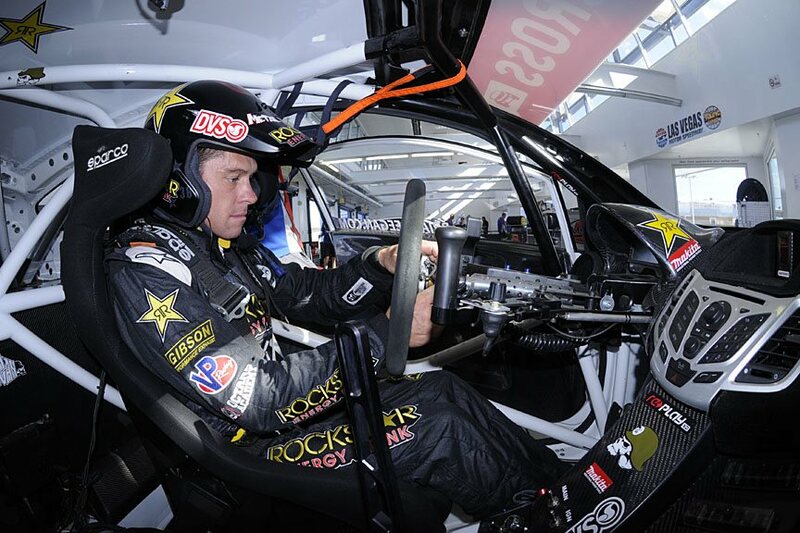 With Deegan in the last chance qualifier, Tanner Foust saw an opportunity to steal a bonus point and extend his championship lead from six points to seven heading into the final. He had no problem doing so, getting the hole shot over Timur Timerzyanov and Stephan Verdier in his heat race and leading the entire way. In fact, Foust seemed more relaxed than usual all night on Tuesday, confident in how far he had extended his championship lead. 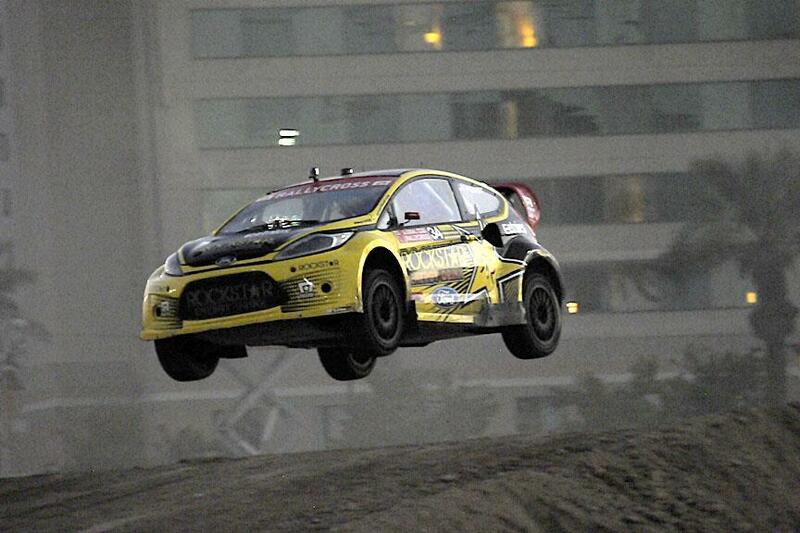 Timerzyanov, the defending European champion, had an up-and-down debut in the GRC. He rebounded from a hard landing on the jump on Sunday to win his heat on Monday, but Tuesday’s heat was a different story. He didn’t make any friends by pushing Stephan Verdier off course and blocking Rhys Millen from getting by after spinning off of the jump on the final lap. Timerzyanov, who finished eighth in the final, is the kind of aggressive driver that GRC fans would love to see more often, but no doubt the competition was frustrated with him. 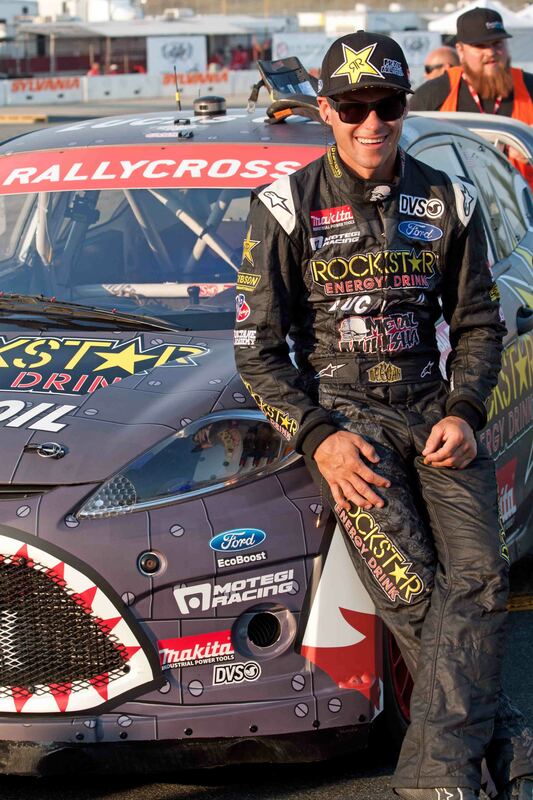 Give all the credit in the world to Brian Deegan for what he did on Tuesday. By coming back from a flat tire to win the last chance qualifier, he made it to the main event, albeit starting from the back row. He languished in the back for the most part after taking the shortcut early, but when Block’s mechanical issue caused the final to be restarted after six of eight laps, it gave him a second chance. He jumped from ninth to fourth with an impressive restart and climbed to second by race’s end. 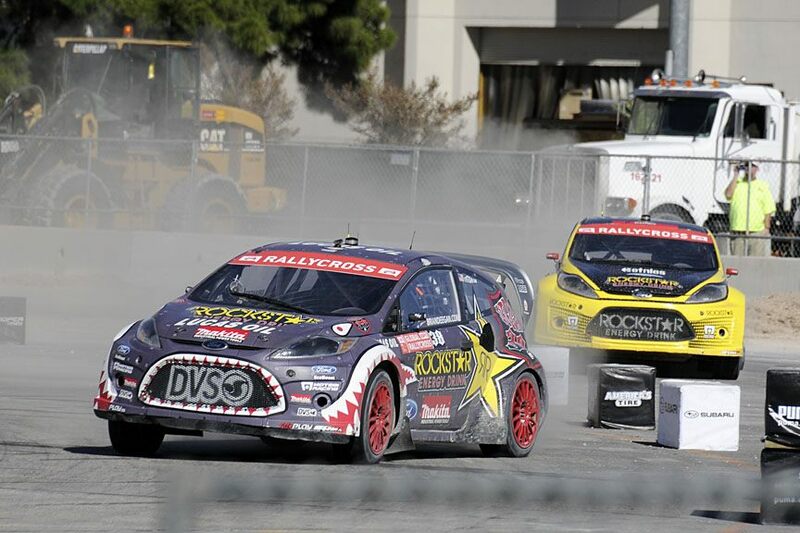 Block’s mechanical failure in the final was especially upsetting—not only for fans of Block looking for him to take his first rallycross win, but for everybody watching his intense battle for the lead with Foust. 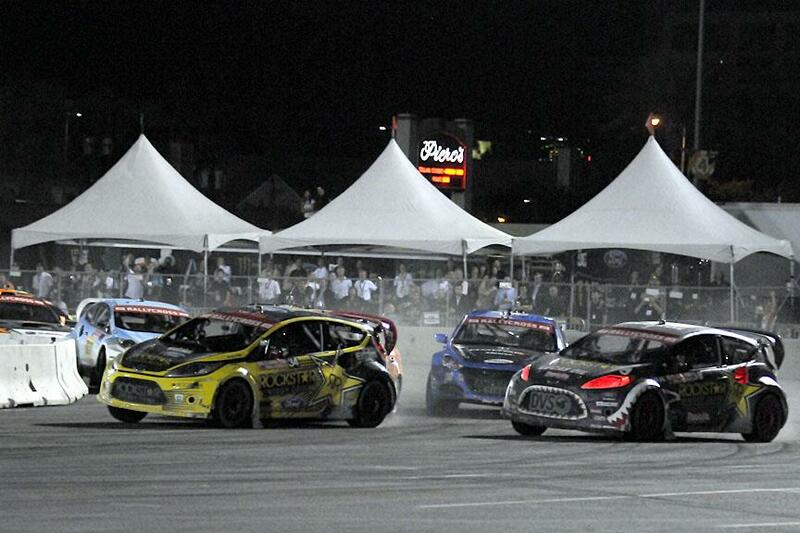 Block would get the hole shot in the final, but Foust eventually squeezed by halfway through. Everybody was looking forward to see if Block could find a way to retain the lead when he had to pull off and exit the race. 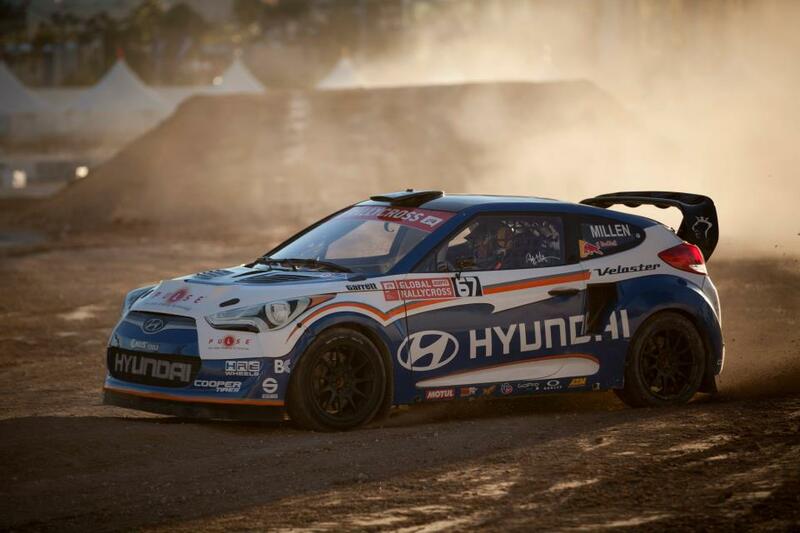 Rhys Millen Racing said a bittersweet goodbye to its four-year racing relationship with Hyundai on Tuesday. They were only able to put one car in the final, as problems for Verdier in both the heat race and last chance qualifier precluded him from making it, but Millen drove his heart out as he attempts to secure manufacturer backing for 2013. 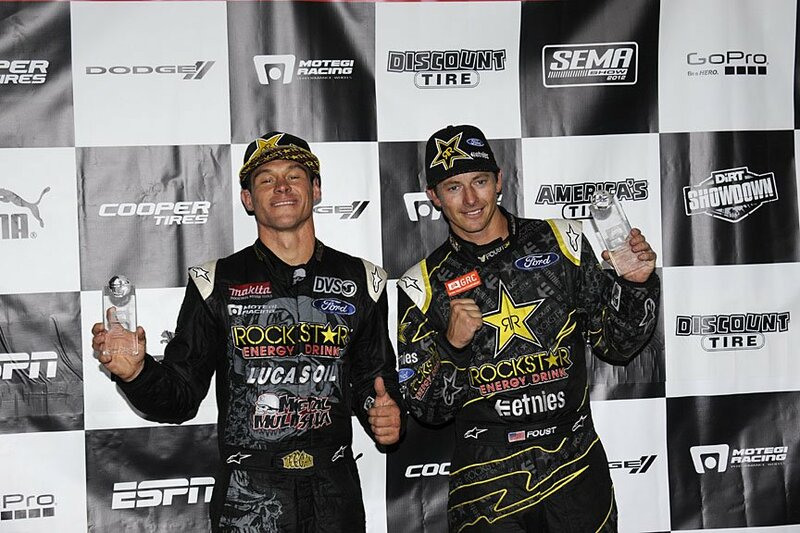 Surprisingly, as consistently fast of a driver as Millen is, this was the first podium of his GRC career, and he earned it by passing Hubinette for third. 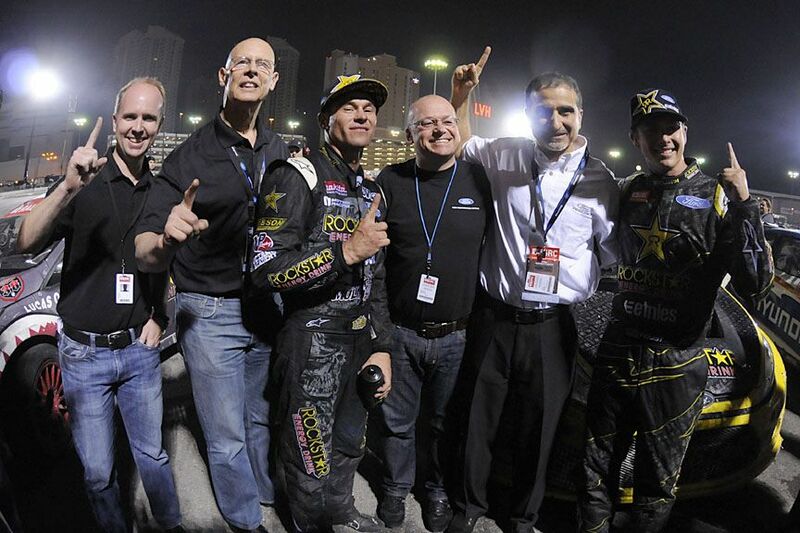 It was only fitting that the top four drivers in the results at SEMA were also the top four drivers in the standings. Foust, Deegan, Millen, and Hubinette ranked 1-2-3-4 in Tuesday’s main event, and that’s basically how they ran in the championship as well. The only difference is, while Millen and Hubinette tied in points with 63, Hubinette wins the tiebreaker by virtue of a best finish of second compared to Millen’s third. ESPN promoted next year’s Global X Games schedule throughout yesterday’s broadcast, listing events throughout America and Europe. Living up to its “global” name, the GRC is reportedly coming along for the ride in at least some of the events, such as the ones in Brazil, Barcelona, and of course Los Angeles. The question remains, however, what the rest of the schedule and field will look like for 2013. It may be a while before we have answers to those questions.